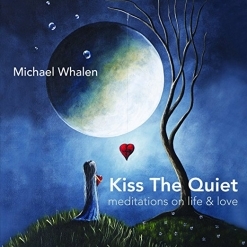 Michael Whalen’s Kiss The Quiet is subtitled “meditations on life & love” and is a very soulful exploration of both. 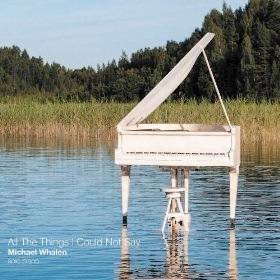 The ten tracks on Kiss The Quiet are an ambient and atmospheric combination of acoustic and electric piano, synthesizers, electronics, and processing - all performed and composed by Whalen. 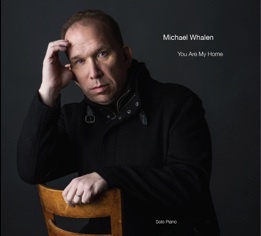 The piano melodies are simple but very expressive, and Whalen’s very effective use of reverb and layered background sounds often creates the feeling of open space and solitude. Whalen is a two-time Emmy winner, a BMI award winner, and an Emmy-nominated composer and music supervisor with more than 700 TV and film scores, thousands of commercials, and numerous TV themes and video games to his credit. He released his first album on the Narada label back in 1993 and his music was included in a number of Narada and Windham Hill compilations in addition to his own albums. Whalen has been an adjunct professor at the Berklee College of Music, The City College of New York and NYU, is an expert on music copyrights and music monetization, and often participates in panel discussions about the future of the music business. Kiss The Quiet begins with the title track, setting the quiet, peaceful tone of the album. 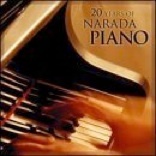 The piano melody is very slow and spare with a shimmering background and gives me the feeling of being up in the middle of the night, savoring the tranquility while most people are sleeping. “Heart So Filled With Joy” is one of my favorite pieces on the album. Far from a giddy dance, this piece is meditative and reflective, expressing gratitude and passionate emotion that truly comes from the heart. “Full Moon Dance” has a slow, graceful lilt that brings images of a silent romantic dance in the moonlight. “The Prayer Box” takes on a darker, more mysterious air that gradually becomes more dramatic and poignant, then gradually softens and fades away - another favorite. I also love “No More Secrets,” one of the more rhythmic and intense pieces on the album. A powerful mix of emotions fuels the driving force of the music which is again dark and mysterious but in a different way. “My Obsequious Tear” is very spare and sad, and yet it is one of the more melodic pieces on the album. Gorgeous! “Hush the Night” reflects the quiet stillness of a dark night when it feels like you are the only one awake. It is especially ambient and atmospheric, but always very peaceful. “Ever Closer, Ever Nearer, Ever Sooner” brings this beautiful album to a warm and serene close, almost like floating on a fluffy white cloud. Kiss The Quiet is a very good indicator of why Michael Whalen’s music has been a part of our lives for such a long time - even if many people were not aware of it! Whalen is in the process of releasing videos of all of this music, so be sure to check those out on his YouTube channel. The album is available from Amazon and iTunes. Recommended!